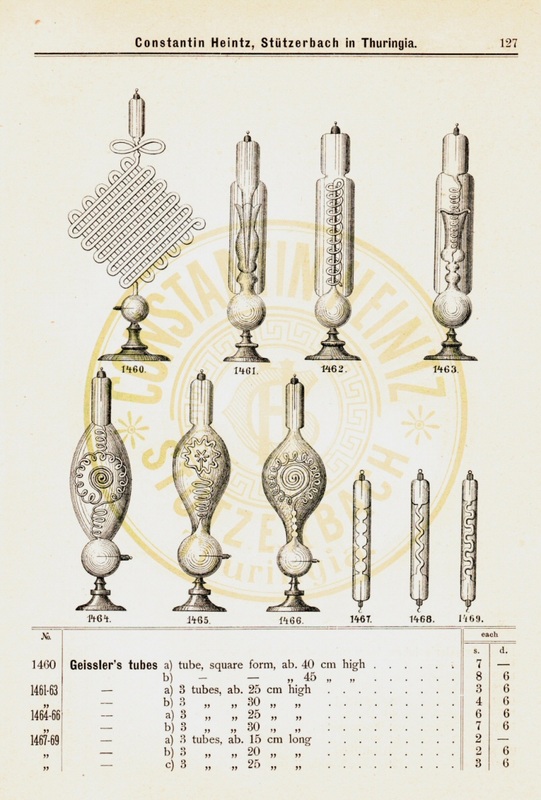 The Cathode Ray Tube site, ornamental Geissler tubes. can be displayed hanging on a stand. with a normal wooden stand. 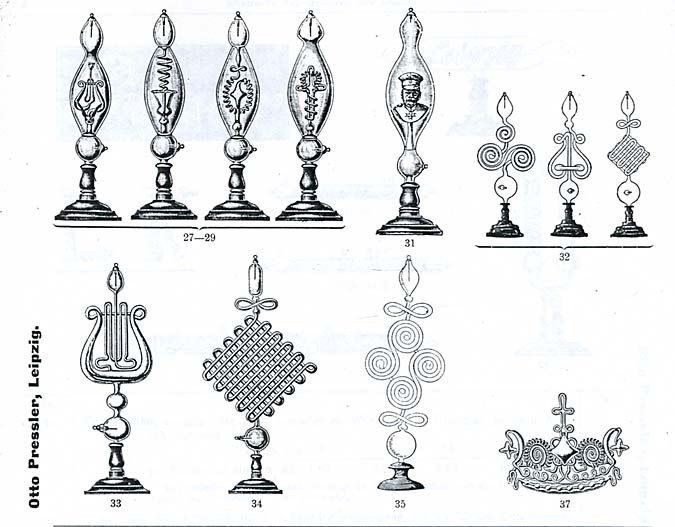 head figures (like Kaiser Wilhelm), goblet, devil figure or religious figures. Some models were also produced without the protective glass envelope. Constatin Heinz from Stützerbach, C.H.F. Müller, Müller Uri and Pressler. 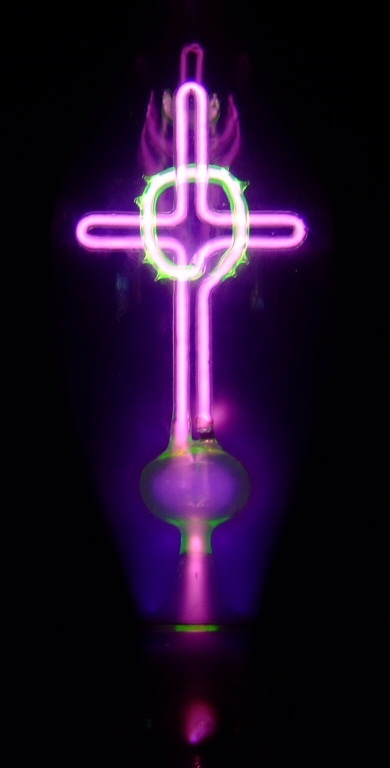 Religious Geissler tube, cross with crown of thorns. Made by C.H.F. Müller ca 1890. Art in all it's simplicity. Picture from the C.H.F. 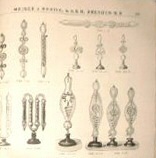 Müller catalogue 1890. 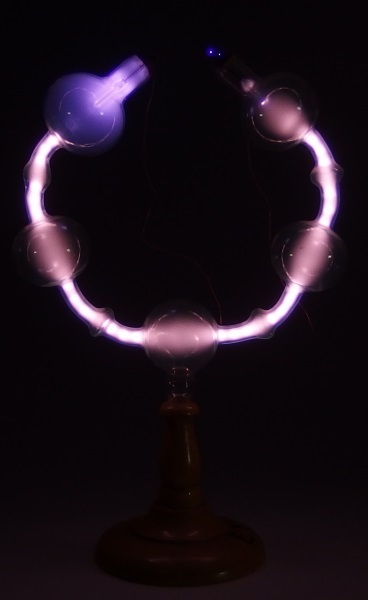 The tube is probably filled with CO2 vapor for the blue color. 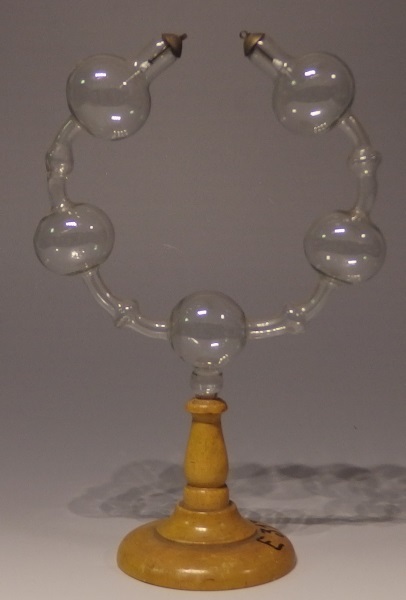 Large Cathereen wheel Geissler tube early 1900. 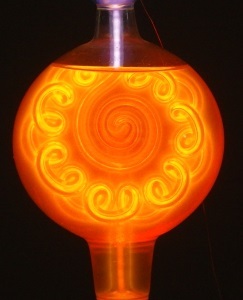 Height 35cm with a large chamber which can be filled with a fluorescent liquid, in this case Rhodamine orange. 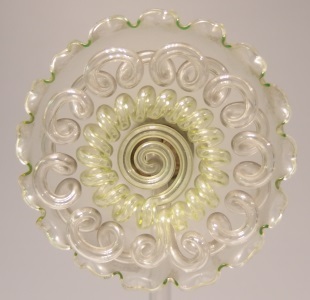 This tube is probably made by Müller-Uri or Emil Gundelach and is present in the 1911 catalogue of E.Leybolds Nachfolger in three sizes 25-30 and 40cm. 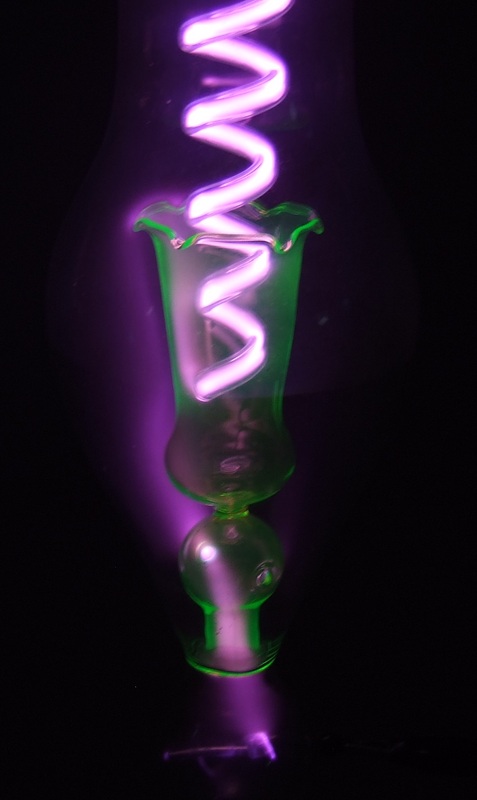 The tube is constructed in such a way that the cloud of electrons is overflowing the goblet. 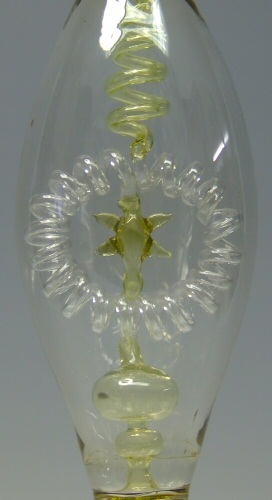 This is achieved by two tiny holes in the sphere below the goblet. The stream is forced to come out of the goblet to find it's way into one of the holes. 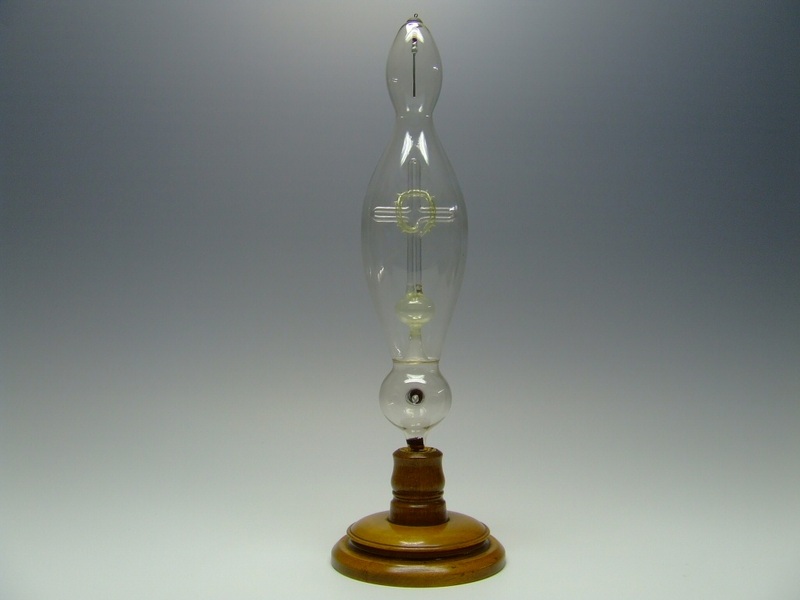 This 40 cm tube is made probably in the last half of the 19th century. 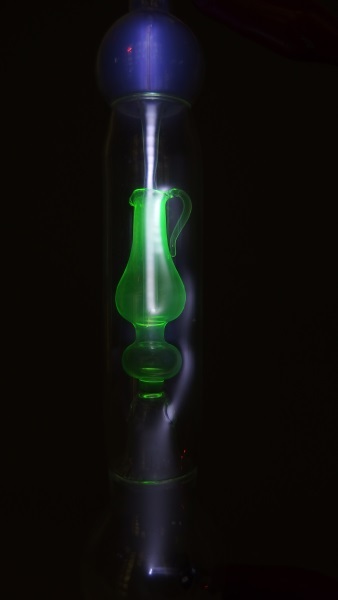 The tube can be filled with a liquid. Name tubes are rare and very fragile and were ordered by the amount of letters, so a long name was expensive. 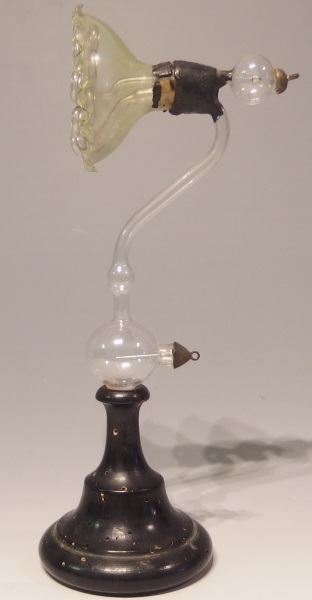 A very rare tube made by the French company A.Biloret & C.Mora ca1880. There are only a few left in the world. Hight 22cm. 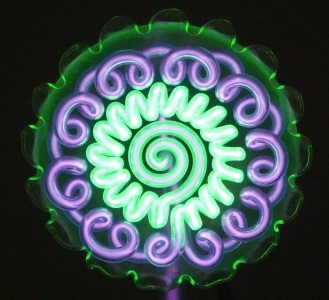 Pure glassblowing art! The drawing of the tube comes from the even more rare catalogue, it consist hand colored drawings. The lower electrode connection is in the stand. 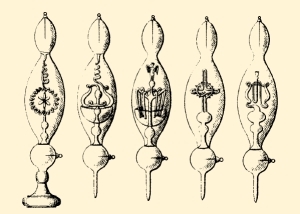 An old Gassiot's cascade tube. This tube has a production fault, due to a flaw in the glass of the upper coil (tiny piece of dust/dirt) the electrons escape earlier than wanted. 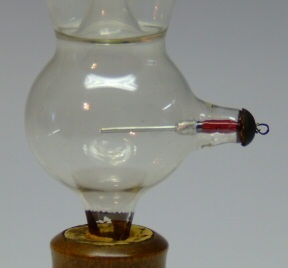 In many cases these tubes contained an afterglow gas, in this case it's a normal working tube.